Gates tells Mueller of Trump campaign deal with Israel's Psy-Group for 2016 "social media manipulation"
Former Donald Trump presidential campaign aide Rick Gates is cooperating with Special Counsel Robert Mueller’s probe, and has provided info on a firm in the Middle East that is reported to have worked with the Trump campaign to influence the 2016 U.S. election. This isn't the first time the Trump campaign's connections to Psy-Group, a 'troll factory' tied to Israeli military intelligence, has come up in the news. The New York Times ran a story in October, and Salon in November. But it's the first time anyone has reported the SCO looking into it. Gates has answered questions specifically about Psy Group, an Israeli firm that ex-employees say drew up social media manipulation plans to help the Trump campaign, according to sources familiar with the questions. Mueller’s team also asked Gates about interactions with Psy Group’s owner, Joel Zamel, and Lebanese-American businessman George Nader, who worked as an emissary for Saudi Arabia and the United Arab Emirates, the sources said. On Tuesday, Mueller’s team said that Gates was cooperating with “several ongoing investigations” in asking a federal judge to delay his sentencing for financial crimes he pleaded guilty to committing with former Trump campaign chairman Paul Manafort. One of the ongoing investigations is into possible Middle Eastern election influence, three people with knowledge of the probe told The Daily Beast. Read the rest. And consider subscribing to the Daily Beast. Psy-Group shut down shortly after the Mueller probe began looking into their activities in 2018, after that NYT report. The operation is reportedly known by other names, including Invop. 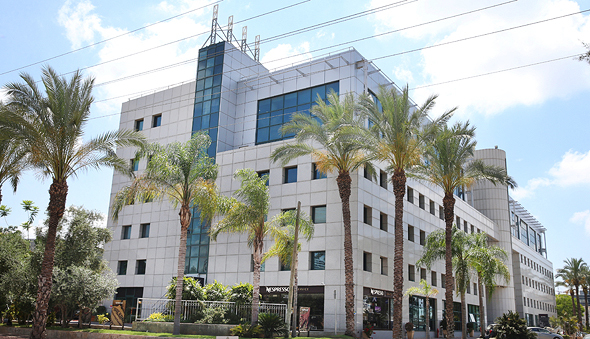 A company by the name of Invop Ltd. is listed on the Israeli state registrar’s database. IMAGE, below: From 2018 in the New York Times, an excerpt of documents from Psy-Group laying out its proposals for the Trump campaign.